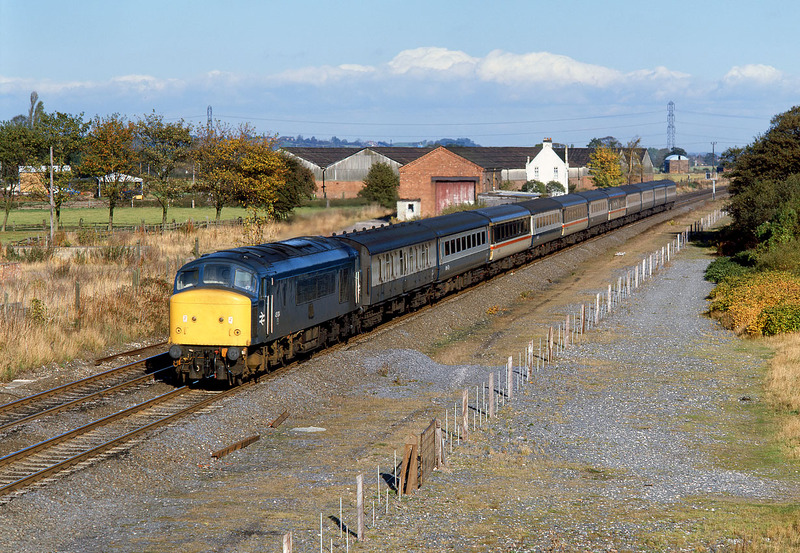 45104 passes Barton-under-Needwood on 2 November 1985 with the 1O19 08:00 Newcastle to Poole InterCity service. This is the site of Barton & Walton station (closed in 1958). The old Midland Railway goods shed can be seen above the second coach.